Albanian Media Council organized a round table on copyright in the online media. 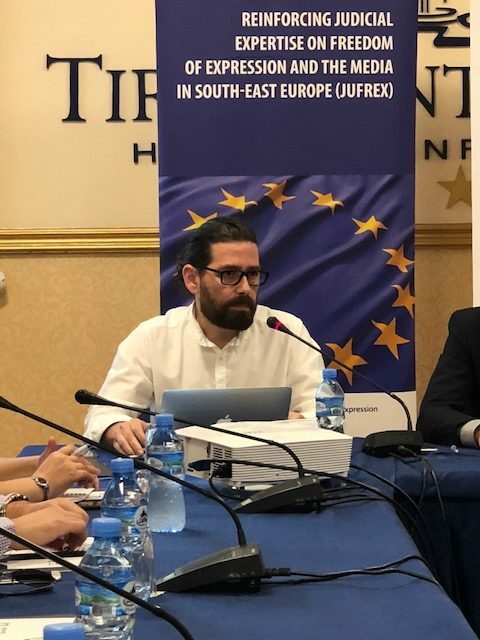 On June 25th, Albanian Media Council hosted a roundtable discussion on copyright and intellectual property in the Online Media. The event intended to create a debate about the issues and challenges regarding copyright and intellectual property faced by the so-called new media. Participants in the panel of experts that was moderated by journalist Alfred Lela were professor Artan Fuga, journalist Ilva Tare, Neritan Sejamini and Brikena Kasmi, a lawyer specialized in the media copyright. 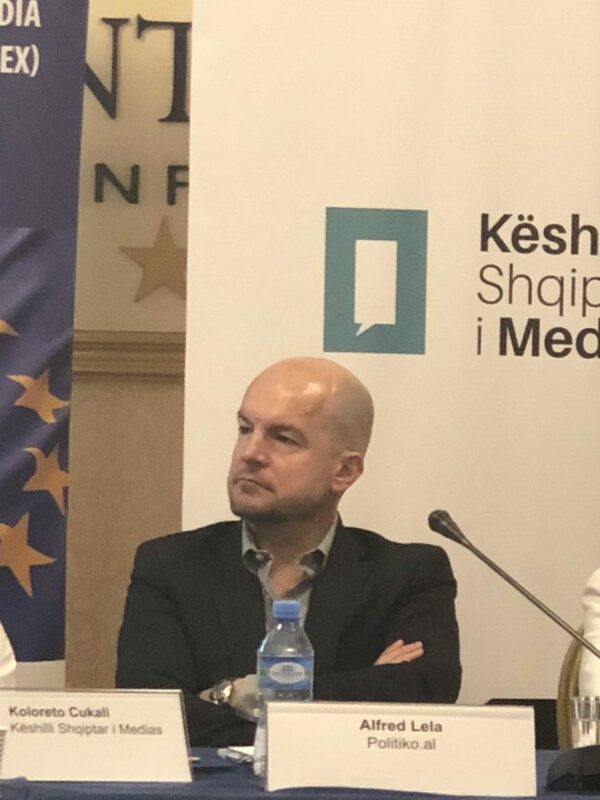 Director of the Albanian Media Council, Mr. Koloreto Cukali emphasized that copyright is an important part of the ethics and the Code of Ethics of the journalist. The participants appreciated that the flourishing of on line media in Albania has created great opportunities for communication and expression, but also a series of challenges for copyright and intellectual property. This right has undergone a major transformation. Alfred Lela, head of Politiko.al, spoke of the need to set the first steps in what he called the portal sphere, an inevitable source of information and influence. If there is a need for change it should be started from the most acute needs and this is a ‘program’ that avoids online theft. Lawyer Brikena Kasmi spoke about the lack of legislation addressing the new media and the need for self-regulation, which the Media Council can do. At the end of the roundtable the participants came with the idea of ​​creating a new group of media members that would sign a memorandum of understanding for the redistribution of news, based on criteria and rules agreed by all. In addition this memorandum would be an engagement to maintaining standards of journalism as a guarantee for self-regulation in the new media. This table was praised by attendees as a first step to the long and complicated process of proper functioning of the new media. 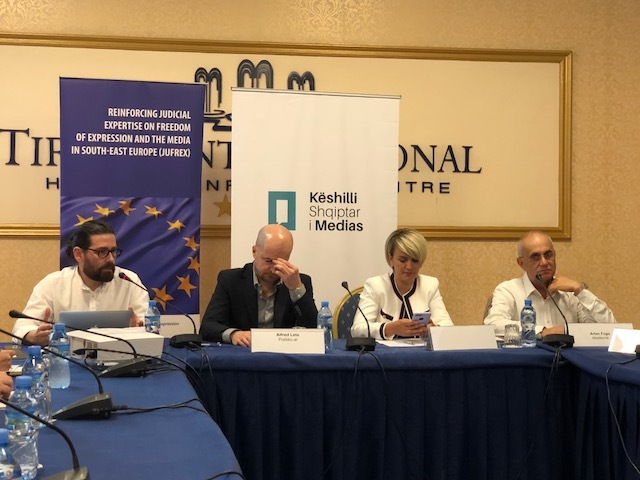 The event was made possible thanks to a grant under the joint EU / CoE “Strengthening Judicial Expertise on Freedom of Expression and Media in South East Europe (JUFREX)”.